Als die ”CD-1-Quelle” gesichert war, bestellte ich für rund 110€ Rohchemie. Als alles zusammen war, begann ich damit alles anzusetzen. Als dies getan war, belichtete ich einen ORWO Chrom UT 15 und entwickelte diesen. Er kam blank aus der Entwicklung. Aber davon lies ich mich nicht unterkriegen und belichtete 2 Wochen später noch einen UT 15. Der wurde Perfekt. Seit dem habe ich etliche UT 15, Agfachrome, Revuechrome in diesem Prozess entwickelt. Teilweise gut und schlecht. Schon abgelaufen als ich auf die Welt kam unddazu noch hochempfindlich — der Eastman Ektachrome 7251 hat enorme 400 ASA (bei Tageslicht) und offenbar auch keine Empfindlichkeit eingebüßt. Ein bisschen “fogging”, also duftige Farben hat er natürlich bekommen — und heftiges Korn. Pip Chodorov, born 1965, is a ceaseless and omnipresent activist of handmade and experimental film. His label Re:Voir sells avant-garde film classics on video, but also Super 8 cartridges for filmmakers. 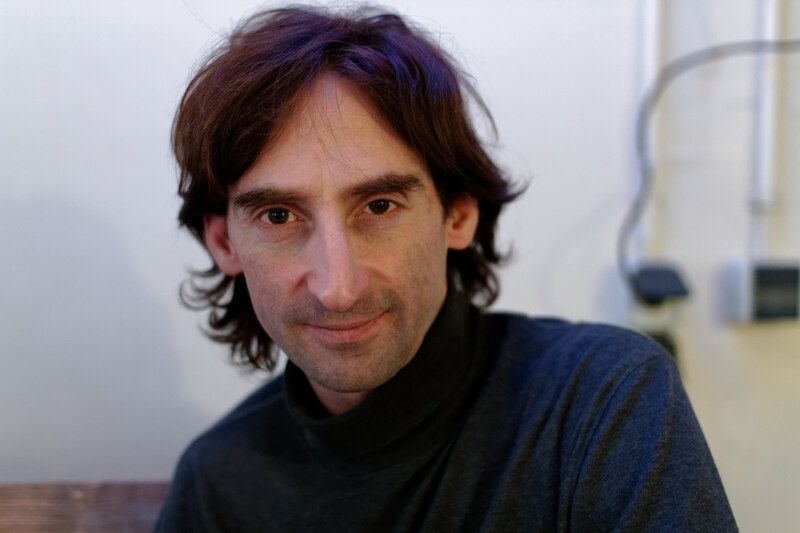 With the mailing list FrameWorks, he founded the most important international forum for announcements and artistic-technical discussion of experimental filmmaking. 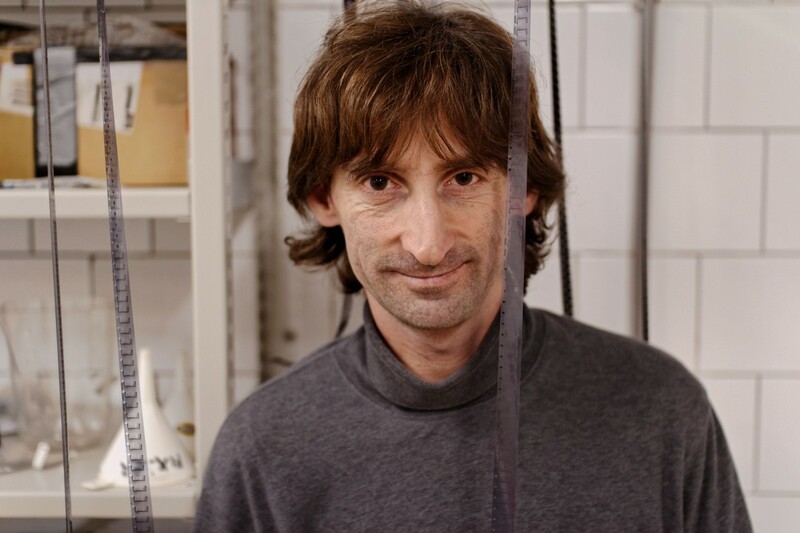 He travels around the whole world lecturing on historical and contemporary avant-garde film and screens films that have been made in artist-run film labs. 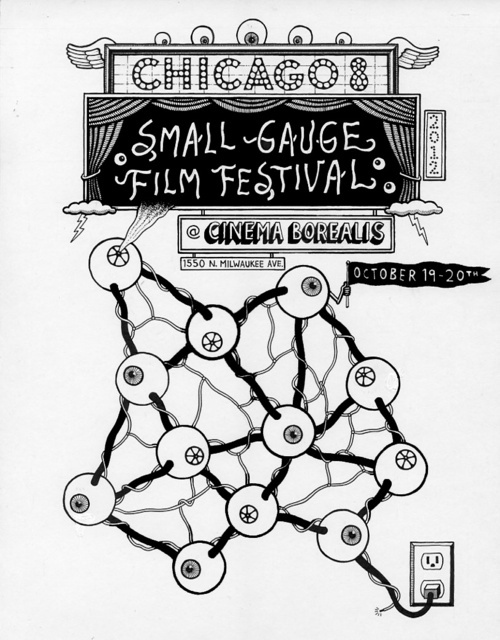 His feature film Free Radicals (2011) documents the history of experimental film since the 1960s – and was shot with a 16mm Bolex. The first difficulty I would have is to say what you actually do because you are doing so many things.. Sorry about that! (Laughs.) – When I came to France, I was already doing a lot of things and people said “you have to choose, you cannot do everything” and I said, you know, why not? That was the American way, the Renaissance man. You do everything, you do whatever you do, and the more the better. But they said no, you got to do one thing right, or one thing well. I started making films when I was a kid, and I always wanted to make films. And when I arrived in Paris, in 1988, I wanted to study film theory with Christian Metz because I had studied cognitive science in America which is the science of the mind, the brain and the relationship between them. I was studying that because I didn’t want to study film or music, things I was already doing. I wanted to use my college education to learn things that I wouldn’t otherwise learn. I took random courses that interested me, and it turned out to be this new metier called cognitive science which was artificial intelligence, and neuroscience, and computer vision, and related sorts of things. But I went to Paris because I had learned French but not all the way, and the real studies of film were happening there. So for a number of reasons I decided to go there for a couple of years, and I stayed there because I got involved with filmmakers cooperatives. I got lots of jobs. Not that I was actively looking for them; people offered me jobs because I was already helping out or volunteering. So I ended up in distribution. I had already worked in distribution in New York at Orion Classics, a company that distributed commercial but arthouse films, European films. And so I was still filmmaking, I was doing distribution, making music. At that time, I started my video company because we had asked one of the filmmakers if she could put out videos so that programmers who came to see the films could see a video copy and not scratch the print. She misunderstood and said: “Yes, oh, maybe it’s good if you distribute videos of the films”. This was from Maya Deren’s films. We thought that’s really important and we should definitely do it. Was that label already called Re:Voir back then? No, originally I was working at Light Cone, and I started this other company which I thought could be an annex called Light Cone video, the same way Orion Classics in New York had a Orion Video or UGC in Paris had UGC Video. But a few years after I started, Light Cone requested that we change our name. I actually wanted to promote Light Cone’s name because Light Cone is only known to people who program 16mm films in cinemas and not something that everybody knows. But then they thought that I was using their name, exploiting it to get up somewhere. It doesn’t matter why, I changed it, and now it’s a separate company. And the other thing is: When I first got Internet, around 1995, I was in Paris. But all the people I was communicating with were in America because Internet came to America a bit sooner. So then I was looking for people to communicate with, and looking at mailing lists, and I realized that they were mailing lists on different topics that interested me but none on experimental film. And so I started a list called FrameWorks, which is still very strong and has a thousand people on it. So all these things just come. We just founded L’Abominable in 1996. We were all going down to Grenoble to develop our films. We learned how to do it down there. I went there in ’92/93, and learned that you could develop your own movie film, I thought that was exciting, and so I started doing it at home in Paris. But a few friends of mine, Nicolas Rey especially, said that we should start our own lab in Paris. We spent about a year looking for places, looking for funding, and thinking where we could do it, and then all of a sudden Grenoble had a big meeting and they said: Everybody who’s coming here – we want you to set up your own labs because we can’t do our own work now since everybody is coming here. They said that they would help us, and seven labs opened in France, in different places. Ten people came back from that meeting in Grenoble, said that they wanted to open a lab and we said: “so do we”, and we joined forces, and opened L’Abominable in 1996. When did you make the step from distribution and communication to being a filmmaker yourself? The filmmaking started when I was six years old. I made new films every year and never stopped. Because I was a filmmaker, I got invited to the cooperative and started working there as a volunteer. I had already been working in distribution in New York for one year, it was natural for me to bring my experience and ideas to Light Cone and to work at the Collectif Jeune Cinéma and to start Re:Voir, all these things were natural in terms of doing work to get films seen. But I have been making films all my life. I think that from Re:Voir distribution, you can also buy – next to video tapes – Super 8 cartridges? Yeah, Kodak gave us special prices at L’Abominable. And this worked very well. We requested certain discounts from Kodak, from Fuji. But what happened is that Kodak closed their counter in Paris where you could go in and buy film with a discount. Before they closed it, it was like an office. Now you have to go to the main office, and you can’t buy it with cash, and you can’t buy it with a card, you have to have an account. So it was impossible for the filmmakers in Paris to still go there and buy their film. Since none of the other shops in Paris were giving this discount, I decided to become a reseller. It was easy enough to buy film from Kodak in bulk, to buy like twenty Ektachrome, twenty Tri-X, twenty negative, put them on the shelf and offer them to filmmakers at the regular price, particularly with a discount to the lab people, just as a favor. We don’t earn anything from that, but at least the filmmakers can get the film for cheap. 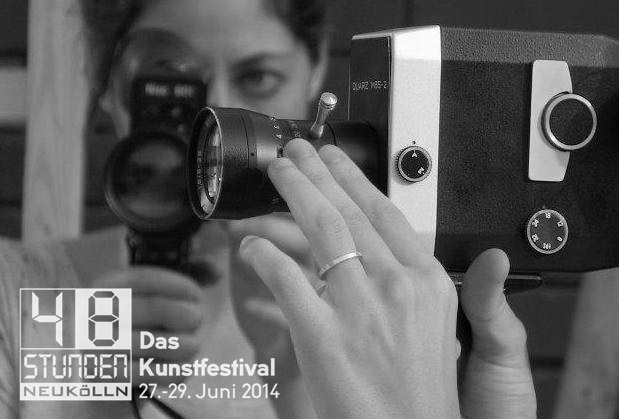 What is for you personally the relation between Super 8 and 16mm? Do you have a preference? I think they’re both interesting, I like them both. I tend to shoot Super 8 more easily. I tend to not be motivated as much to carry the Bolex around. Super 8 you can slip into your pocket and shoot quite a lot, but I am usually not as happy with the results. Not so much because of the quality of the film, but because I don’t really care about and shoot really spontaneously. So more often than not, I get a lot of junk. (Laughs.) But when I shoot 16mm, I’m more careful and so it comes out quite good. It’s more expensive and you’re more careful. And the camera is heavier so it’s steadier. It’s also a give-and-take, because if I shoot in Super 8, I can’t really show it to anybody except in my house. Whereas if I shoot in 16, I can finish it and send it out into the world. And so nowadays, when I shoot Super 8, I have to blow up the things that work to 16 anyway. So if there’s something I really want, I shoot it in 16. I would first call it film. When I started growing up, I was making documentaries and experimental films and fiction films and projection films, there was never a distinction. The only time I need to make this distinction is when I talk to somebody who doesn’t really know what I am talking about. But in general, I just call it filmmaking. Would you also say that the difference between artists’ filmmaking and amateur filmmaking is not important? Yeah, and I also really like his holography, all kinds of things. But when I see his films, I think that they are groundbreaking work, they are really important. Is this a history you are trying to trace, or even preserve, with Free Radicals ? I made Free Radicals because it was the kind of film I wanted to see, and it didn’t exist. I saw a film in Cannes, in 2003 or 2004, by Wim Wenders called The Soul of a Man, about blues singers. It starts with a satellite going through space, and there’s a voice that says “I died in 1958 without a penny to my name but now my voice is traveling through the solar system, on the Voyager spacecraft, the voice of American blues, and my name is Big Bill Broonzy”. I thought that’s great to do for the blues singers who died without any money, but they really did change music. Why not make that for the filmmakers who are still alive, barely, and really do something important for film? I wanted to share not only their films but themselves. Those people are good friends, they are funny. And the third thing is, I am often invited to show short films around the world and talk about them. You always resisted distributing DVDs. And you even preferred VHS copies to DVDs because you found the compression unbearable. It’s distinct for experimental film, the compression kills a lot of what is there to watch. I have never liked VHS, but if you make a really good Beta master from the film, and make a really good VHS copy from the Beta master and put it in a good TV, it looks like the film, it’s quite beautiful. It’s quite a good reproduction. But DVD is very flat, and a lot of the colors and nuances are lost, and a lot of the details are lost. It’s not that I personally hate DVD, it’s more that I was against the industry for having imposed this format on us which was much worse. If you are gonna put out an optical disc, put out BluRay. It’s much better. I’m just against brainwashing. Every time there is a new progression in technology, where people say it’s the new great thing, and you look at it, it’s actually cheaper and worse, and we lose. From vinyl to CD to mp3, it’s obvious, we’re getting less and less information. And that is also true for digital cinema? Yes, that mainstream cinemas phase out 35mm for DCP, and that many mainstream films are no longer shot on 35mm, but on cameras like the Arri Alexa. Most studios that spend millions of dollars to shoot a film, still shoot on film because they know they are capturing more, and in the future don’t need to go to 8k or whatever. They only will have to go back to the film, and it’s better preservation material. So studios that usually make a choice, still shoot on film or they copy their digital masters on film stock. The Library of Congress in America just got few dozens 35mm printers in order to do all their preservation work. So film is far from dead or gone. I think it’s again the media, the press and the big corporations that are trying to brainwash people to believe that film is dead. I see articles every day about this. And I think that the more people read this, the more will think that it’s too late and in fact, they are bringing about the death that way. It’s really not necessary. This is also one of the main recurring discussion topics on FrameWorks . But isn’t there a danger that the field of filmmaking that we described here becomes too obsessed with a kind of nostalgia for analog film? For me, what we are living now is a great golden age in which you have the choice of shooting on film or on digital. Thirty years ago, you had no choice. Everything was film. And those who got their hands on new technology, like Stan Vanderbeek, were very excited. And thirty years from now, maybe if you want to shoot on film, it is gonna be really, really complicated to find film. So you will have to shoot digital. Most people won’t go the extra step to shoot film. But I do believe that it will be around for all of our lifetime. But anyway, now you can shoot either. You can go to a shop and you can buy film stock, or you can buy a digital camera. So it’s kind of a golden age for people who want to shoot. I am afraid what’s going to happen – let’s say when Kodak, which is a very badly run, very badly managed company, fails, then it’s not because they aren’t selling film stocks. Even when they stopped making Kodachrome – I met with the head of the company in Cannes, he told me they were selling hundred thousand Euros worth of Kodachrome every year. For me, that’s quite a good business to be in if you are a small company. I would love to sell that much stuff. But as a huge company, they thought that was peanuts. So that’s the danger. They are a badly managed company, and they could fail regardless of how many people are buying film. Which means that one of the other companies making film – Fuji, Orwo, FS – they would have to start making Super 8 cartridges. I don’t know if they want to. But there is a market for it because Super 8 cameras are sold all the time on Ebay. There is a big demand even for young people to start doing it. So I don’t think of it as a danger that we won’t be able to shoot film. It’s always going to be around. It’s perhaps not that easy to make, but you can make it. The problem is the brainwashing and the huge corporations. Do you also have an emotional relation to film? No. Me – no. I think that both technologies are miraculous. You can do different things with them. For me, people who always say that video looks better or video looks worse – it’s not how it looks. It’s not about that it looks like film or doesn’t look like film. It’s about the nature of the material. The nature of the material is completely different. So it’s not just what it looks like, it is what it is. Would you say that because we are in this comfortable situation of being able to choose between the two media that we can also exploit their particularities better? For me, it’s not about film burn and jitter, but the fact that you can communicate something through a medium – through paint, through theater, dance, film, video. And that medium becomes your language, but each language is better for expressing different things. There are certain things that you can express in film that you can’t express in video. I think a good example is the new film by Bela Tarr, Turin Horse. In some of those scenes, there is so much detail in the shadows that on DVD, you wouldn’t see anything. I think that has a lot to do with what he was trying to express about these subtle moments of everyday life where almost nothing is happening, but it’s a life with something, with spirit. And same with video. You can express things through video that you can’t express through film. So it’s a question of choice. There’s something about film that always attracts me. If I want to film something that moves me, a sunset, a person or anything, I can capture it. When I mean capture, I mean that the emulsion is chemically altered when the light hits it. And when I develop it in a liquid bath, it’s again chemically altered, it becomes transparent or opaque, and when the light from the projector goes through it, the molecules, the photons are also chemically… It’s real material, and it’s physically altered. And when that light hits the screen and bounces into your eyes, and it creates triggers and brainwaves, it’s a direct physical connection with the original event. And there’s no veil of zeros and ones in the way. The actual material is affecting you, was there when it happened and it’s there now. So there’s a direct connection between anything that was filmed in the past. There is a direct physical contact. And that doesn’t happen with digital. Returning to L’Abominable, would you say that we now have a network of DIY film labs, and that they work more or less the same way? Or is there something particular that you are doing in Paris that makes it stand apart? Each lab is unique. And we all have a federation where we all joined. We have a website, filmlabs.org, and we have meetings. We are all unique, we are all different, we work in different ways, we have different philosophies, and we have different ways in which membership works and which equipment we get. But we are all in the same boat. We are all moving into the same direction, and we are all helping each other. What would you say about the philosophy of your lab? Our lab – and I don’t totally agree all the time on it – is almost polemically democratic. So people have to meet and decide things together. And we stopped inviting new people. My idea was that anybody should come. But the other people said no, no, that’s too many people, we will only do it three times a year and only five people each time. So it’s very very slow. If somebody wants to join our lab, it takes a year sometimes. Also, I had ideas for raising money, for example bringing in a group of students and charging them money, and doing a workshop. But the lab was against that. Times change, it could happen. But the point is that I have an idea of how our lab could open up to new people and really spread the word, getting people filmmaking. And the people at L’Abominable were more careful to protect the space – that we make our films, that we have our time, that we don’t burn out. And maybe they’re right. That’s L’Abominable. So it’s like a group of people. And that’s opposed to a kind of community center model? In a way, yes. There is another place in Paris called Etna, and that originally was a workshop-driven lab where few times a year, anybody could pay 800 Euros and do a course. I don’t know how long each course was, maybe a week or three weeks. 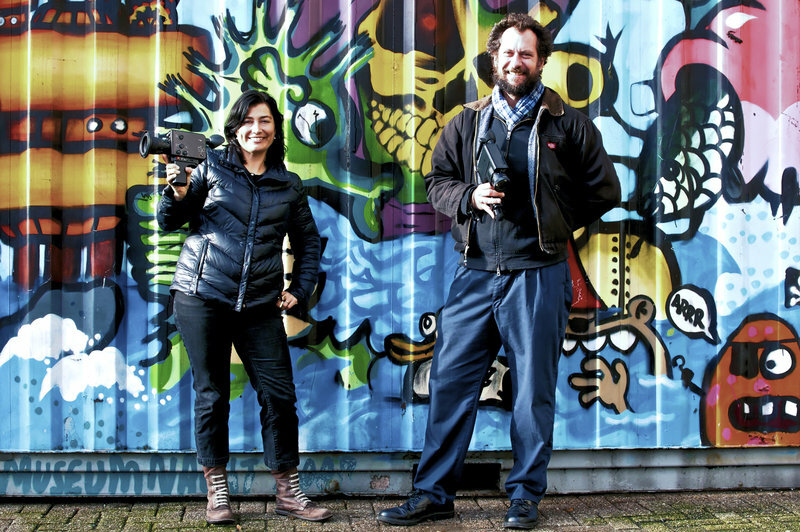 People learned how to use the Bolex, how to shoot Super 8, and how to develop film and end up being able to make their film and join the group. But L’Abominable would never do that. We are much more careful about who is using the equipment, that they know what they’re doing, that they’re mixing the chemicals right, that nothing goes wrong and then we can make our films. It really depends on a couple of people who are very very good technically: Nicolas Rey and Christopher Goulard who fixed the machines and would even make new machines, who have to deal with problems when there is a problem. It’s not just an open space for people to come in, and things disappear. Yes, hopefully it can keep up the reputation (laughs). The reason for that is because the audience in Paris is very serious. In fact, for hundreds of years, French people in general, even if they are peasants, are serious about art, poetry, and that’s unique culturally. It used to be that buses would drive around the country and drop off film prints, and there would be cine clubs in little towns. So everybody growing up watched films and took it very seriously, not just as entertainment. If a group of French people go out to a film, they will discuss the film for a couple of hours afterwards. In America, it’s just that you get food and talk about something else. So coming to France was a revelation. I could show my films there to an audience, people would take it really seriously and invite me here and there. I don’t think that happens in a lot of places. You think that this is still alive? Introduction for a film screening at WORM, Rotterdam. So would you say that your film practice, or let’s say the film practice you are connected to, is also resistance against globalization? I think so. It’s not because I would be making films about that. It’s more our mode of production, our mode of distribution. I like to call it not an economy but an ecology. It’s all grassroots. And we are in a no man’s land. We are not connected to the art world, and we are not connected to the film industry. This means that we are totally on our own. We help each other. We show each other’s films. We help each other make films. Everybody is connected in this sort-of Third World parallel economy. But that doesn’t mean that our films are about anti-globalization. Would you say that there is a film lab aesthetic? For L’Abominable, we try not to enforce an aesthetic on the people coming to work there. All we want is a toolbox, a laboratory open to everybody. 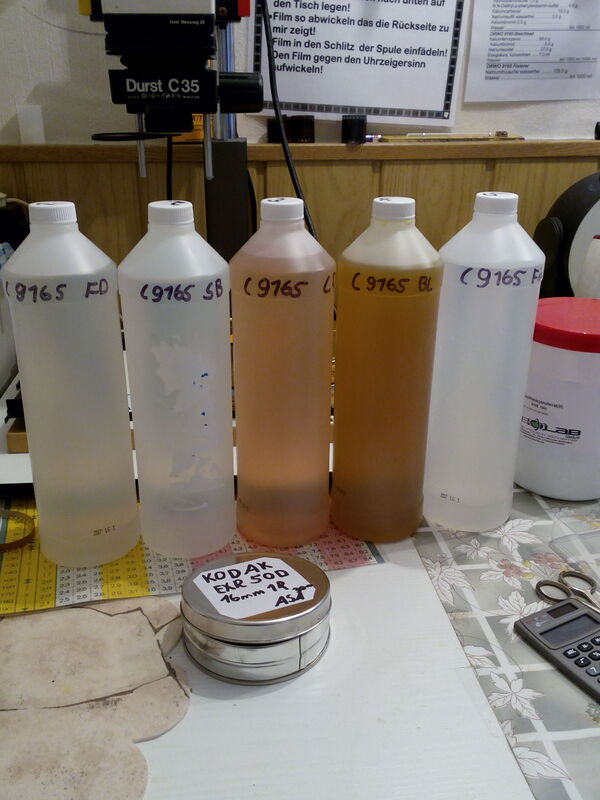 And if we help them, we help them with technical information – for example, how to read the density of a negative or how to mix the chemical or how to use a particular machine. And then people are free to make any kind of film they want. It doesn’t even have to be experimental, it can be fiction, it can be documentary. What we want to avoid is that people use our lab just because we are cheap. For example, to do camera tests for a commercial project, and then later use another lab. Everybody has to accept rules of the game where you work slowly, you work by hand, you do everything yourself, you don’t have anybody doing it for you. If somebody calls asking “Can you develop my roll of film”, then we say: “No, come do it yourself, we can show you how”. But again, as I mentioned before, we don’t have so much capacity to bring new people in so fast. So we might tell this person: “You know, if you put your name on a waiting list, maybe in about nine months you can come develop your film”. So it’s not so easy. But to get back to the question, there is no aesthetic enforced or imposed by us on people to come. Some of the other labs might. I am thinking for example of Etna. I can recognize when a filmmaker comes from Etna because they tend to make films in a similar style. Maybe it’s because they do workshops, and they teach people how to make films, maybe they like a certain style. Some labs are probably really geared towards experimental film – that’s what they want, you know. But that’s not our choice at L’Abominable. But by nature of the machines and the chemicals, the technologies that we use, there will definitely be a similarity between textures and kinds of rhythms and kinds of things people are doing. 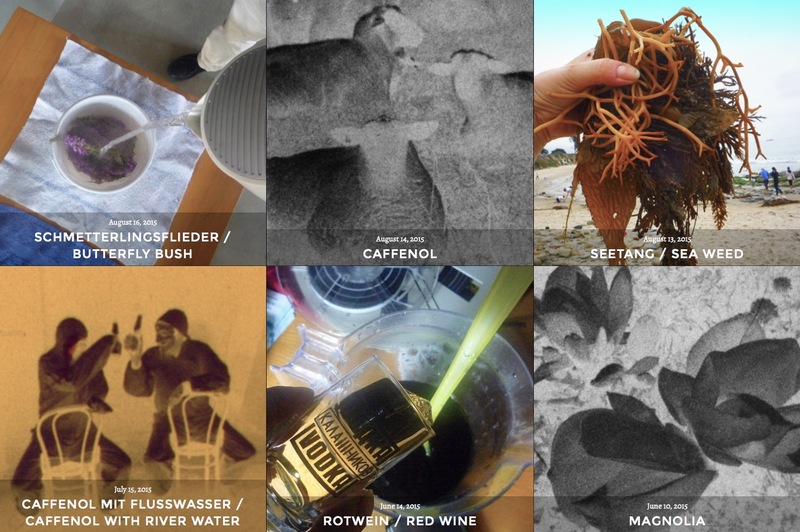 The previous question on video: Pip Chodorov – Is there a film lab aesthetic? And if one would say that there is a certain tendency in films made at labs to also make the filmmaking process part of the eventual film, would that be a fair statement? For some filmmakers, it would be a fair statement, where their filmmaking process is the subject of their film. Or it is what attracts them to working there at all, and that’s what they are going to play with. But nothing, as I said, is forced. So yeah, some people are really interested in the filmmaking process, and for myself, when I am working with some big incredible heavy machine that I want to learn, I think of an idea: What if you would do it that way, what if you put the film in upside down, what if you do it twice. So obviously, I want to experiment with the process to see what it will give me, and when I get some beautiful image, then I think: “Wow, it’s great”. I will go towards that, try to develop that, and I will come up with something a bit like Nicolas Rey did in “Terminus for You” with reticulation. He thought “Wow, that’s an amazing mistake, maybe I will try and do that again”. So the filmmaking process is what we are doing by nature of our techniques. But it doesn’t have to be. And at the program I showed here in Rotterdam, because it’s all of the core members of the lab who are really working in that way. We are all close friends and we all have affinities and we all like each others’ films. Maybe that’s why these films put together, maybe that’s why these films fit together. We have copies in the lab. 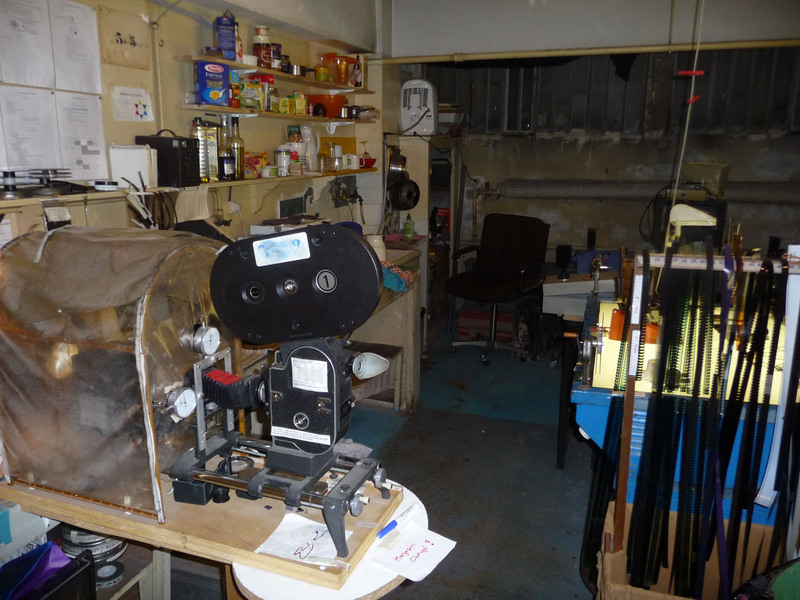 But many people came to the lab, made films and left, and we don’t have copies of those films. Does it have the potential to not just remain a subculture, with the whole economic system crashing? What I like about our community is that, as long as it is not commercial, we will survive despite commercialization because we are doing what we want to do. And no one really wants to stop. Everyone has to make a living. None of the filmmakers, even the great ones like Brakhage, could make a living from their films. So if you are making films out of your own passion and your own desire and need to do so, nothing can stop you. And even if Kodak stops, then some filmmakers will find their own way to make their own film stock, and we will continue. That’s the beauty of it. What you are giving is almost a literal definition of amateur, in the sense of someone who loves to do something. Yes. That’s the sense in which Maya Deren and Stan Brakhage always spoke about amateur filmmaking. But for most people, the word amateur refers more to home movies. So I just use the word that most people use. (Laughs.) But you’re right. That is amateur, in the right sense. Pip Chodorov, Jahrgang 1965, ist unermüdlicher und allgegenwärtiger Aktivist des Selbstmacher- und Experimentalfilms. Über sein Label Re:Voir vertreibt er Film auf Video – und verkauft auch Super 8-Kassetten an Filmemacher. Mit der E-Mail-Diskussionsliste Frameworks begründete das heute wichtigste internationale Diskussionsforum für Ankündigungen, künstlerische und technische Diskussionen rund um den analogen Experimentalfilm. Auf der ganzen Welt gibt er Vorträge über die historische und heutige Filmavantgarde und zeigt Filme, die in selbstorganisierten Filmwerkstätten entstanden sind. 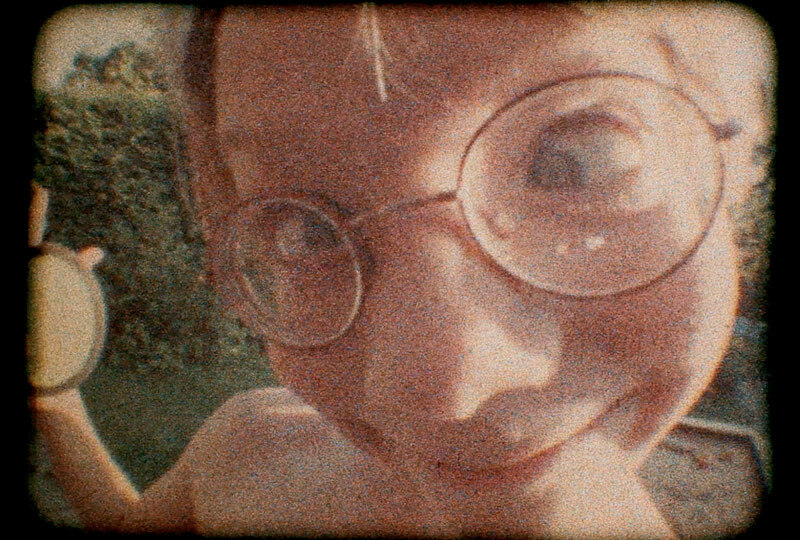 Sein abendfüllender Dokumentarfilm Free Radicals (2011) dokumentiert die neuere Geschichte des Experimentalfilms – und wurde mit einer 16mm-Bolex gedreht. Es nicht einfach, Dich unseren Lesern vorzustellen, weil Du so viele verschiedene Dinge zugleich tust! Oh, Entschuldigung! (Lacht.) Ich habe als Sechsjähriger meine ersten Filme gemacht und seitdem nicht mehr damit aufgehört. Als Student zog ich aus Amerika nach Paris, weil es da die echte Filmwissenschaft gab. Damals gründete ich eine Firma für Filmveröffentlichungen auf Video, die heute Re:Voir heißt. Und als ich 1995 zum ersten Mal das Internet benutzte, fand ich Diskussionsforen zu allen möglichen Themen, aber nicht zum Experimentalfilm. Daher gründete ich die E-Mail-Liste Frameworks, die heute immer noch sehr lebendig ist, mit rund tausend Mitgliedern. Und 1996 war ich Mitbegründer der Filmwerkstätte L’Abominable in Paris. Würdest Du Deine eigenen Filme Experimental- oder Avantgardefilme nennen? Ich würde sie einfach Film nennen. Als Jugendlicher drehte ich dokumentarische, experimentelle und erzählerische Filme und veranstaltete Projektionen – es gab da keine Unterschiede. Ich verwende einen Begriff wie Experimentalfilm nur gegenüber Leuten, die diese Art des Filmemachens noch nicht kennen. Ist Dein Dokumentarfilm Free Radicals nicht auch ein Versuch, deren Geschichte zu überliefern? 2003 oder 2004 sah ich in Cannes The Soul of a Man, Wim Wenders’ Dokumentarfilm über Blues-Sänger, die völlig verarmt gestorben waren, aber die Musik wirklich verändert hatten. Da dachte ich mir – sollte man so einen Film nicht auch über Filmemacher drehen, die ähnlich wichtig waren, und noch leben? Ich wollte nicht nur ihre Filme, sondern auch sie selbst dem Publikum vorstellen: gute Freunde, und witzig obendrein. Ein abendfüllender Film über sie würde mehr Leute erreichen als meine Filmvorträge und -vorführungen, und mich überleben. …sicher auch eine Funktion Deines “Re:voir”-Labels. Interessanterweise weigerst Du Dich, Filme auf DVD herauszubringen und ziehst VHS-Kassetten vor. Das betrifft vor allem den experimentellen Film. Die Datenkomprimierung der DVD zerstört viel vom Bild. Ich habe VHS nie gemocht, aber wenn man ein wirklich gutes Beta-Videomaster von einem Film herstellt und davon eine VHS-Kopie zieht und auf einem guten Fernseher abspielt, sieht das auch wie der Film aus. DVDs hingegen haben ein sehr flaches Bild, viele Farben, Nuancen und Details gehen verloren. Wenn man sich für einen optischen Bildträger entscheidet, dann bitte gleich für BluRay. Fast immer, wenn es mal wieder einen technischen Fortschritt gibt, der uns als das nächste große Ding angepriesen wird, stellt man bei genauerer Betrachtung fest, dass es billiger und schlechter ist, und alle dabei verlieren. Bei der Entwicklung von der LP zur CD zu mp3 ist das ja offensichtlich, man hat uns mit immer weniger abgespeist. Und beim Film wiederholt sich das jetzt. Es sind wieder mal die Medien, die Presse und die großen Konzerne mit ihrer Gehirnwäsche, die uns weismachen wollen, dass Film tot ist. Die Gefahr ist, dass es wirklich passiert, sobald Leute das einmal glauben. Siehst Du nicht die Gefahr, dass die Filmemacher-Szene, über die wir hier reden, zu sehr in eine Nostalgie für den analogen Film abdriftet? Ich glaube, dass wir noch in einem goldenen Zeitalter leben, mit der freie Wahl, auf Film oder digital zu drehen. Und ich bin überzeugt, dass es Film noch so lange geben wird, wie wir leben. Kodak ist eine sehr schlecht geführte Firma. Sollte sie scheitern, dann nicht, weil sie keinen Film mehr verkauft. Als Kodachrome eingestellt wurde, erzählte mir ein Kodak-Chef in Cannes, dass jährlich noch mehrere hunderttausend Dollar mit dem Material umgesetzt wurden. Das ist ein gutes Geschäft für eine kleine Firma. Aber für einen Großkonzern waren das Peanuts. Das Problem sind die Gehirnwäsche und die Großkonzerne. Würdest Du Deine Filmarbeit, und die Filmkultur, zu der Du gehörst, eine Form von Widerstand gegen die Globalisierung nennen? Ja, durchaus. Ich drehe zwar keine Filme darüber. Aber es ist unser Weise des Produzierens und des Vertriebs, die ich mehr eine Ökologie nennen würde als eine Ökonomie. Es ist Graswurzelaktivismus. Wir helfen einander, wo immer wir Können. Alle sind miteinander verbunden in dieser Art von Dritter Welt-Parallelwirtschaft. Für mich geht es nicht um Lichtlecks und Bildzittern, sondern darum, dass man etwas durch ein Medium mitteilen kann – sei es Farben beim Malen, Theater, Tanz, Film, Video. Und ein Medium wird zur Deiner Sprache, wobei jede einzelne Sprache bestimmte Dinge besser ausdrücken kann. Film hat etwas, das mich immer anziehen wird. Wenn ich etwas filmen will, das mich bewegt, einen Sonnenuntergang, eine Person oder was auch immer, kann ich es damit festhalten. Und zwar so, dass die Emulsion sich chemisch verändert, wenn sie vom Licht getroffen wird, und sich wieder chemisch verändert – durchsichtig oder undurchsichtig wird -, wenn ich sie in einem Flüssigkeitsbad entwickele. Und wenn das Projektorlicht sie durchdringt und auf die Leinwand trifft, in Deine Augen springt und Hirnströme aktiviert, entsteht eine direkte physische Verbindung mit dem ursprünglich aufgenommenen Ereignis. Kein Schleier von Nullen und Einsen liegt dazwischen. Kann aus alternativen Ökonomien wie Euren Filmlabors mehr als nur eine Subkultur wachsen, gerade in Zeiten, in denen das ganze Wirtschaftssystem einstürzt? Solange wir nichtkommerziell bleiben, werden wir überleben, weil wir tun, was wir tun wollen, und das gefällt mir. 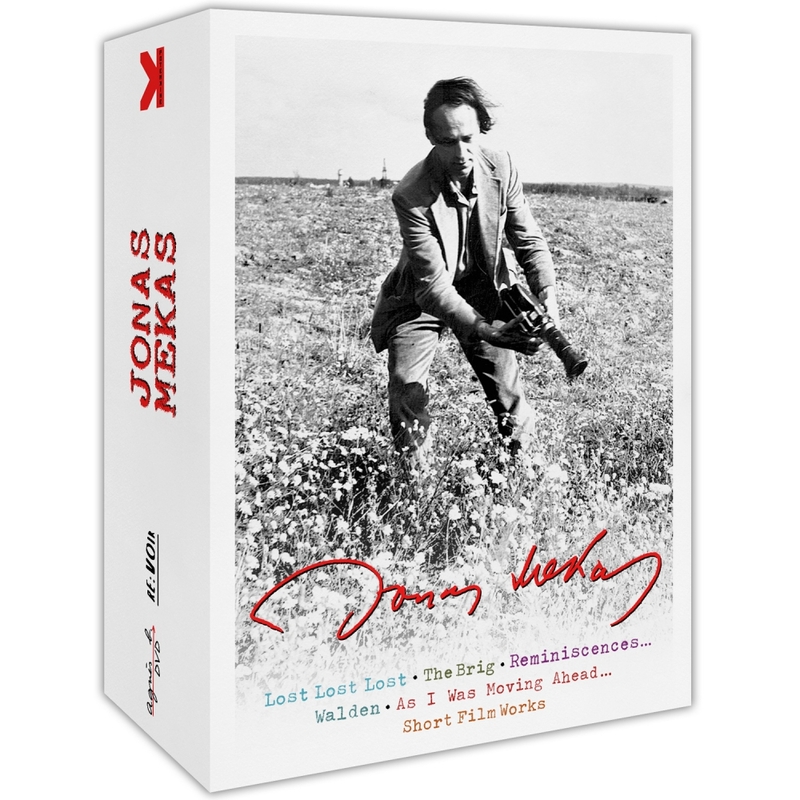 Auch wenn Kodak aufhört, werden einige Filmemacher einen Weg finden, ihr eigenes Filmmaterial herzustellen, und wir machen weiter. Das ist eine beinahe wörtliche Definition des Amateurs – jemand, der etwas aus Liebe zur Sache tut. Ja. 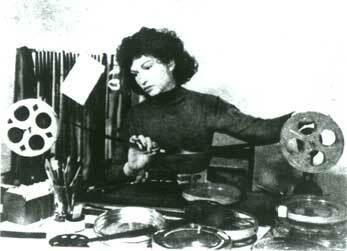 In diesem Sinne identifizierten sich auch die historischen amerikanischen Avantgardefilmer Maya Deren und Stan Brakhage als Amateurfilmemacher. Die meisten Leute hingegen verbinden damit Familienfilme. Aber was Du sagst, stimmt. Das ist Amateurkultur, aber im richtigen Sinne des Wortes. Noch eine Interviewfrage auf Video: Pip Chodorov – Is there a film lab aesthetic? Lisa: Definitely. The first time Dagie Brundert heard my music from the era, the mid-1990s, she said “this is Super 8 sound” – the equivalent of a Super 8 film but a song. I think it’s because of the hand-made, hand-held aspect to it. Everyone can join in and be a part of and get excited about. It’s a collective enterprise. Lisa: Our students get very excited about it. They talk about it in these ways: “This is more real to me, this is more powerful, this is more meaningful”. And they have this real desire to continue to explore that craft. Lisa: … all these things. There has never really been one about Los Angeles which was interesting – aside from Tom Anderson’s “L.A. plays itself” that’s a kind of a modern version of it. And then we introduced them to 16mm technology. None of them had ever shot it, none of them had ever seen 16mm film, and they were sent out to create a 24 hour meditation on Los Angeles. There were about 48 students. 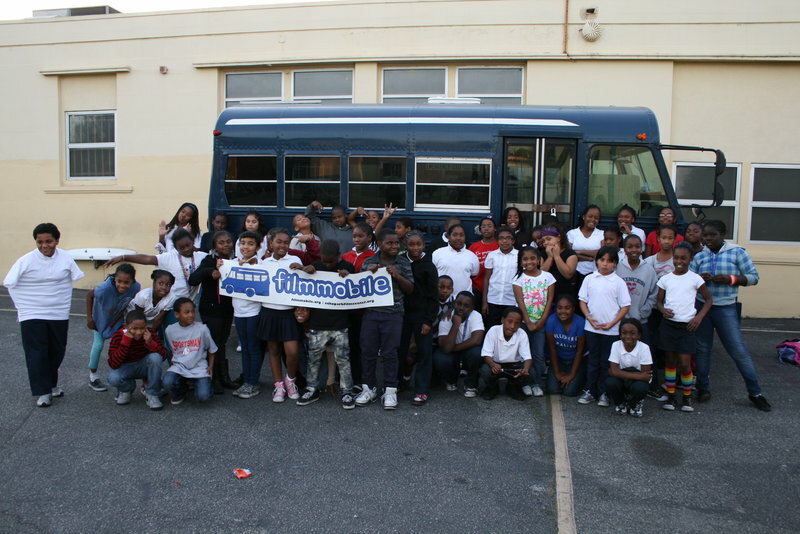 They were paired up, each student chose an hour of the day, and they were given up to two rolls of 16mm film. It had to be black and white, and they had to select a portion of the city that they thought represented L.A. at that particular time. Obviously, it was silent, they each worked on their minutes. Each hour was condensed into a minute, so it ended up being a 24 minute film. It started at midnight, finished the following midnight. We had a live score provided by a local experimental ensemble. It had its debut in a large theater in Downtown Los Angeles. It was just completely magical. Lisa: Yeah, Nizo. It’s all about the Nizo 480 for me, the little one with the “B” setting. Eine Liebesbeziehung mit Super-8, mit ihrem Wohnviertel und miteinander: Seit einem guten Jahrzehnt betreiben Paolo Davanzo und Lisa Marr den Echo Park Film Center in Los Angeles, eine kleine Filmwerkstätte mit Programmkino in Los Angeles. Hier wachsen die Jugendlichen aus dem Migrantenviertel Echo Park zu einer neuen Generation von Super 8- und 16mm-Filmemachern heran. Und mit dem “Filmmobile” erschließen Paolo und Lisa neue Filmer-Welten. Ein Gespräch. Lisa: Definitiv. Als Dagie Brundert zum erstenmal meine Musik von damals – aus den mittleren 90er Jahren – hörte, sagte sie gleich: “Das ist Super 8-Sound”. Wie ein Super 8-Film, nur als Song. Weil es dieses handgemachte, Handkamera-artige hat. Jeder kann mitmachen, Teil davon werden und sich dafür begeistern. Lisa: Unsere Schüler sind davon richtig begeistert. Man hört dann Sätze wie: “Das echter für mich, das ist stärker, das bedeutet mehr”. Und dann haben sie das echte Verlangen, dieses Handwerk weiter zu erkunden. Lisa: Wahrscheinlich sind wir eines der wenigen Programmkinos, das Leute aus allen Gesellschaftsschichten zum Kommen und Mitmachen einlädt. Die meisten anderen richten sich an ein studentisches Publikum, eine Art Intelligenzia. Bei uns jedoch sitzt man neben dem Geistlichen von der nächsten Straßenecke, einem Punk-Teenager oder der Mutter von jemandem. Es kamen sogar Leute vorbei, die uns ins Gesicht sagten: “Als Ihr damals in dieses Viertel kamt, paßte das mir überhaupt nicht – wer sind diese Weißen mit ihrem tollen Kunstzentrum? Aber jetzt, wo mein Sohn oder meine Tochter bei Euch ist, verstehe ich es, und ich bin hier, weil es mich interessiert oder etwas läuft, in dem es wirklich um unsere Gemeinschaft hier geht”. Ihr betreibt außerdem noch das “Filmmobile”. Um über den angestammten Ort hinaus zu wirken? Lisa: Ja, Nizo. Für mich dreht sich alles um die Nizo 480, die kleine mit der “B”-Funktion. “Kameras machen keine Filme; Filmemacher machen Filme. Verbessert Eure Filme nicht durch mehr Ausrüstung”. 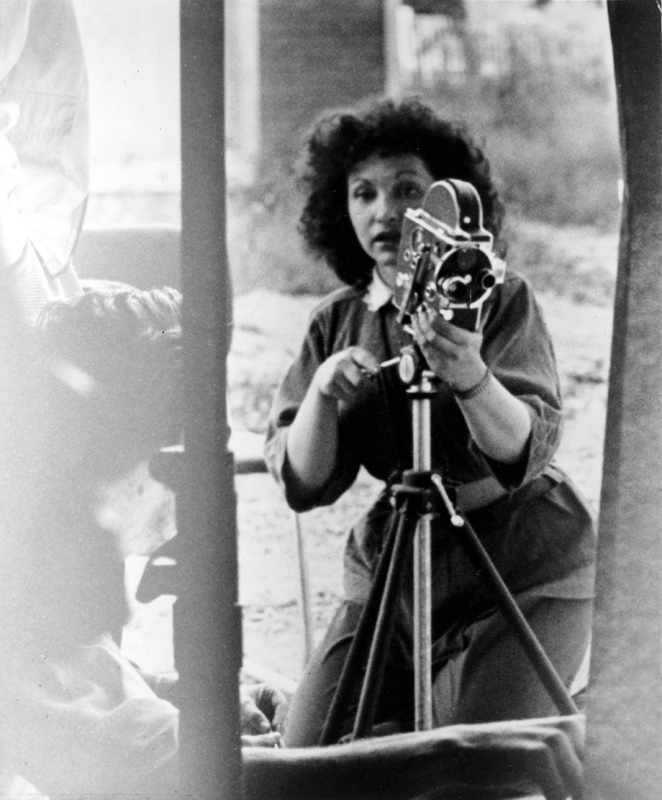 Dies schrieb die Avantgardefilm-Pionierin Maya Deren allen Amateurfilmern ins Stammbuch, und zwar schon einem halben Jahrhundert. Deren verstand sich zeitlebens als Amateurfilmerin, die ihre Filme – wie sie es ausdrückte – “mit Budgets macht, die in Hollywood gerade mal für die Lippenstifte reichen”. Sie engagierte sich auch in Amateurfilmvereinigungen. 1959 rief sie im Movie Makers Annual der amerikanischen Amateur Cinema League Filmer dazu auf, sich alle Besessenheit mit Profistandards und Filmausrüstung aus dem Kopf zu schlagen und besseren Gebrauch von ihrer filmerischen Freiheit zu machen. Die größte Hürde, vor der Amateurfilmer stehen, ist ihr Minderwertigkeitsgefühl gegenüber professionellen Filmproduktionen. Schon das Etikett “Amateur” klingt wie eine Entschuldigung. Doch bezeichnet dieses Wort – abgeleitet vom lateinischen amator, Liebhaber – jemanden, der etwas aus Liebe zur Sache tut anstatt aus wirtschaftlichen Gründen oder Zwängen. Und genau bei dieser Wortbedeutung sollte auch jeder Amateurfilmer beginnen. Statt neidisch auf die Drehbuch- und Dialogschreiber zu schielen, auf die gelernten Schauspieler, die aufwändigen Teams und Sets und auf die enormen Budgets des professionellen Films, sollte der Amateur den großen Vorteil nutzen, um den ihn alle Profis beneiden: Freiheit, sowohl künstlerisch, als auch physisch.